I started off with a rant about holster purses that will probably have some of their manufacturers up in arms. They’re too often sold to people who are new to concealed carry and don’t understand the risks — like the grandmother in Florida a couple of weeks ago, whose young grand-daughter reached into her gun purse and came out not with candy, but a loaded pistol. The toddler is now dead, all because her grandmother didn’t secure her purse. Unacceptable, and we need to do more to educate manufacturers, retailers, and buyers. 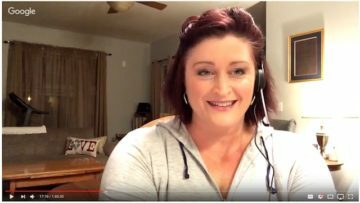 Then Julie Loeffler came on for the main event: a long discussion about the current state of women’s self defense training, both from the martial arts and the firearms sides of the aisle. She takes on some sacred cows in the defensive training world and no doubt raised more than a few eyebrows. Listen to the show to hear her views on “women’s only” classes, the rise of female-exclusive shooting organizations, what’s wrong with how defensive training is marketed to women, and a whole lot more. Here’s the link to the show page. Please feel free to share it far and wide! P.S. : Julie had some kind words for my latest book, “Prepping for Life: The balanced approach to personal security and family safety”. It’s available now in paperback, Kindle, and iBooks formats! Hey Buddy!, I found this information for you: "Last night’s Training Talk show ruffled some feathers!". Here is the website link: http://www.grantcunningham.com/2017/09/last-nights-training-talk-show-ruffled-feathers/. Thank you.